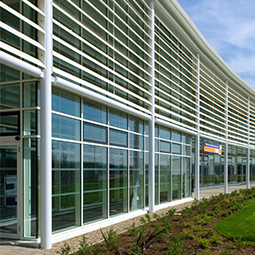 Working with the market leaders Kawneer and Schuco specialist systems enables Drayton Windows to offer the highest quality curtain wall solutions that combine performance, cost effectiveness and value. 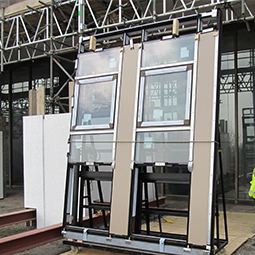 Drayton Windows can offer a full range of standard pressure plate and cap ‘stick built’ curtain wall solutions which are developed in conjunction with our partner’s technical teams and engineers. This ensures that client’s requirements in terms of acoustics, thermal and solar control are addressed whilst minimising procurement lead times. 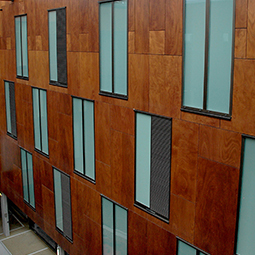 Drayton Windows are able to offer versatile and bespoke façades including standard clear vision glazing systems which can incorporate spandrel glass, louvres, brise soleil, window and door inserts to create stunning visual effects. 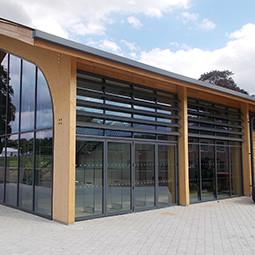 Drayton Windows’s relationship with key suppliers provides project continuity and confidence for clients enabling the company to undertake challenging projects for a wide range of applications.